Enjoy the beauty of the country! 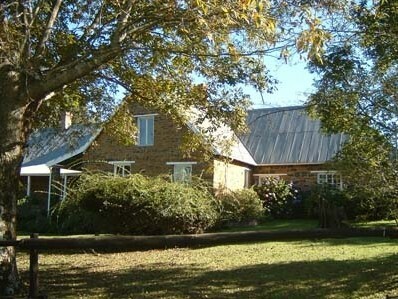 Yellowwood café is a country restaurant, serving wholesome country food in a wonderful country setting. It is our pleasure and privilege to be able to have you as guests in this wonderful heritage site. We aim to delight your palates with a carefully chosen selection of recipes to suit the season and compliment the Midlands countryside. It is our aim to support the local entrepreneurs by using their products wherever possible. Keep an eye on our menus, as they will be changing so that we can bring you as many of the freshest seasonal delights as we possibly can. This also gives us the opportunity to showcase the midlands products at their best. 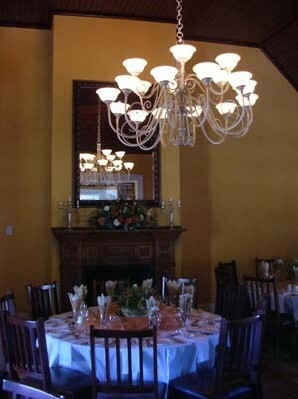 At Yellowwood Café we serve both an a la carte menu and a snack type pub menu. The a la carte menu consists of Starters, Main Course and Desert. The menu is kept deliberately short and is changed every three months to offer the client seasonal freshness as well as appropriate food for the season. We are fully licensed and offer a wide selection of wine, which includes Sparkling wine, and Pudding wines. Our pub menu features salads, open sandwiches pub type grub, freshly baked cakes and a wide variety of hot and cold drinks. 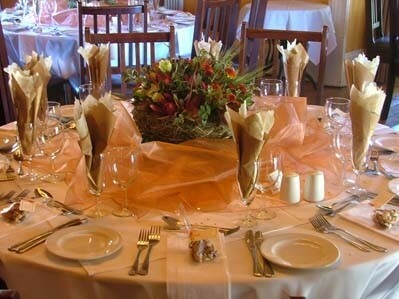 When visiting us we offer you a variety of venues to sit and enjoy your food and drinks. We have both smoking and non-smoking dining rooms, as well as a coffee shop/pub. 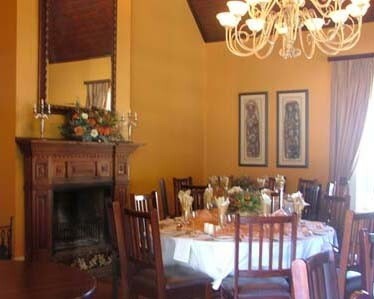 All these rooms have fireplaces and we ensure a warm welcoming fire is laid every evening for our customer’s comfort. 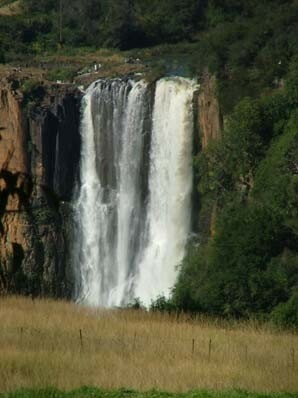 Our restaurant has the unique advantage of looking out directly onto the face of the Howick falls. We offer tables on both the verandah and on the lawns under the trees for those customers who enjoy eating al fresco and taking advantage of the magnificent views of the falls and horses grazing in the paddock. This is a very popular family seating area. 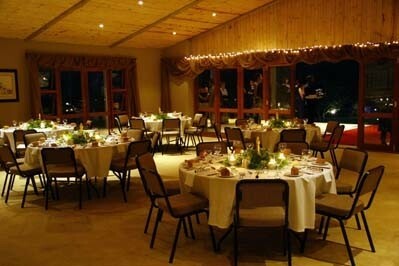 During the winter months we provide table around our pool area, which is warm and sheltered. 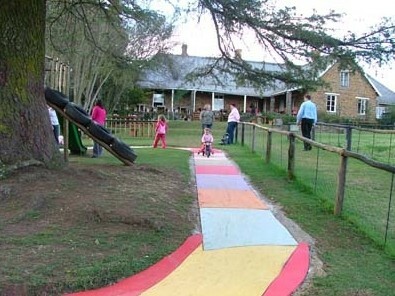 There is a jungle gym to keep the children amused, as well as pony rides on a Sunday over the lunch period. We encourage our customers to take a walk around the estate and enjoy the beauty of the country. The animals at Fairfell have become part of the character of the place, the two beautiful Burman cats are called Sky and Shadow. 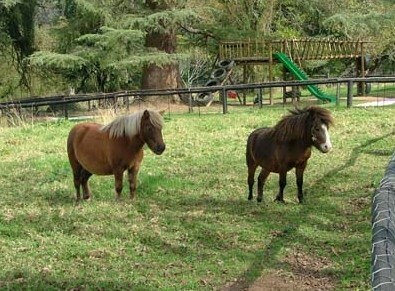 Charlotte the pony and Cherokee the chestnut are here for the children’s rides, Boris, Montana and Blue are beautiful thoroughbreds that enjoy being admired, the cockerels and chickens are too many to name. 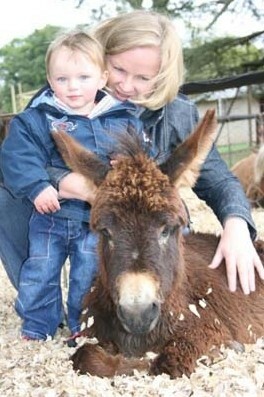 The two oxen are called Buffalo Bill and Gentleman Gerry and love to be petted. We look forward to hosting you at Yellowwood Café! 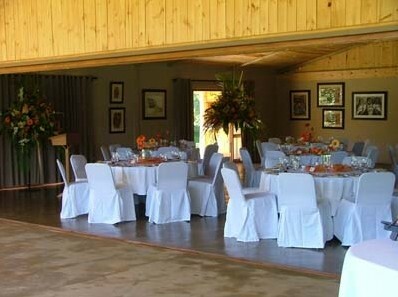 Yellowwood is an ideal venue to hold a Function of any description. 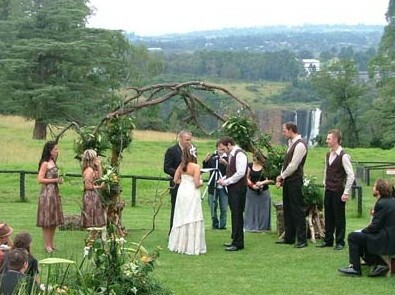 It is 20 minutes from Pietermaritzburg, 3min from Howick centre, the setting is country with a spectacular view of the falls. 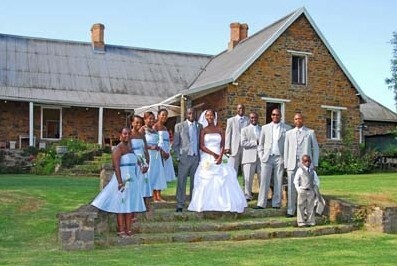 The beautiful old stone buildings and establish park like gardens enhance the ambience of the venue. We have a selection of menu options available to suit your requirements, from light meals and tea's to 3 course meals. 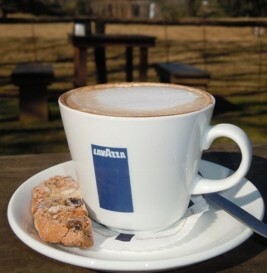 8.30am to 4.30pm, serving breakfast, lunch and teas. Friday and Saturday evenings for dinner. Dinner bookings are advisable. Paintball is an excellent option for children’s parties, corporate team building and social groups. 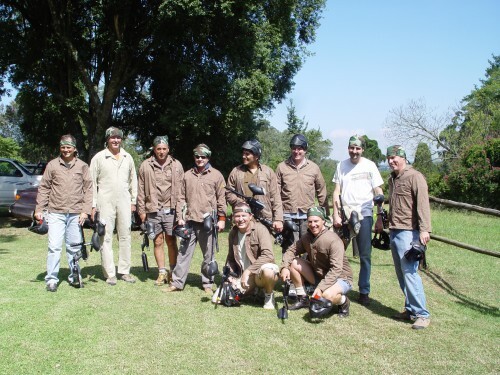 Join us at Yellowwood where the whole family can enjoy a day out.